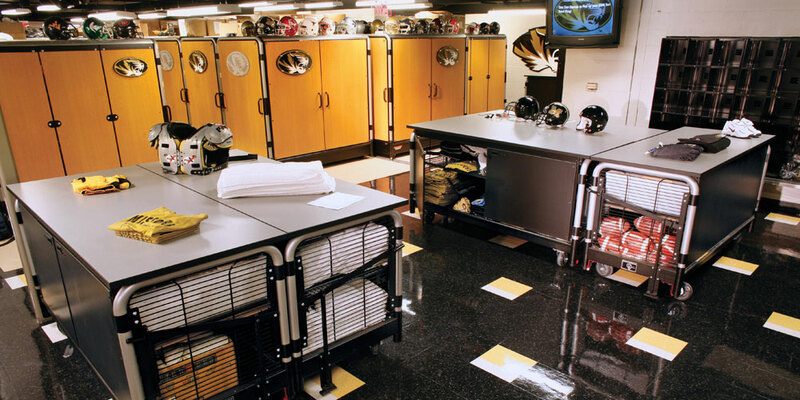 The equipment room is a hub of activity. Helmets are assembled and decaled, equipment is inspected and repaired, hundreds of jerseys and garments are folded, lunch is eaten, meetings are held. 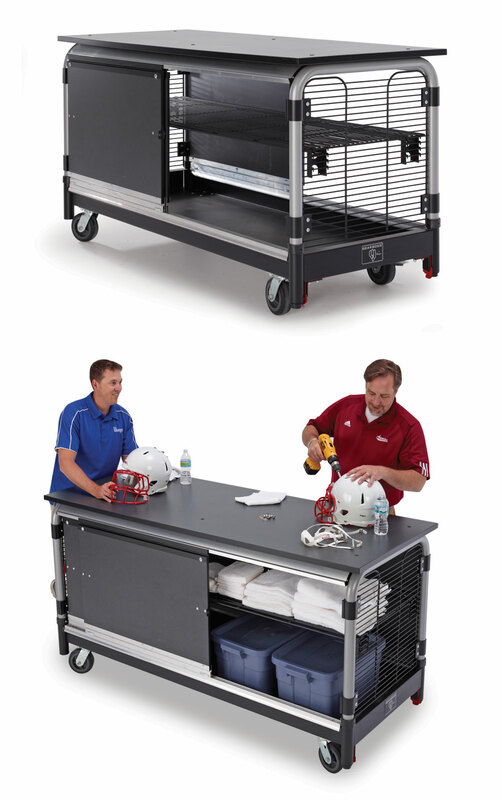 If you are using folding tables, boxes or the floor to make it happen, it's time to step up to the GearBoss Workstation. Ergonomically perfect at 42" (107 cm) high the Workstation features a tough 1" (2.5 cm) wood laminate surface. The entire Workstation rolls easily on casters keeping your space transitional to ever-changing activities. 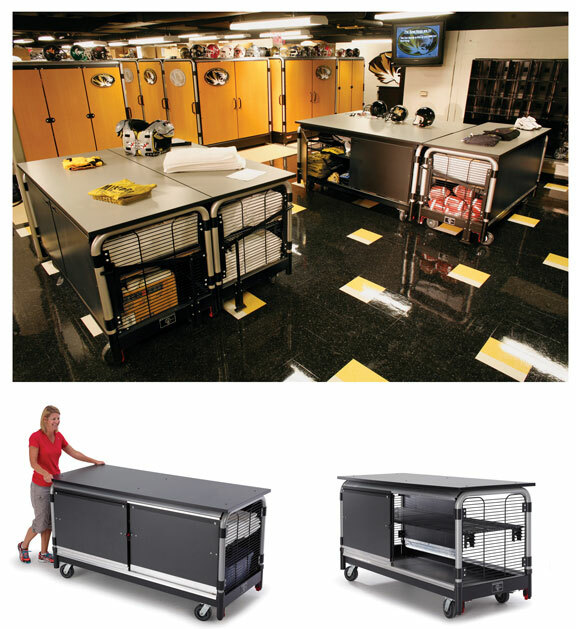 Built like a GearBoss Storage Cart, you can add optional, adjustable grille shelves and locking bypass doors. Convert traditional storage area into organized, secure, high-density space.